From the moment you arrive you can breathe in the fresh, sea air. 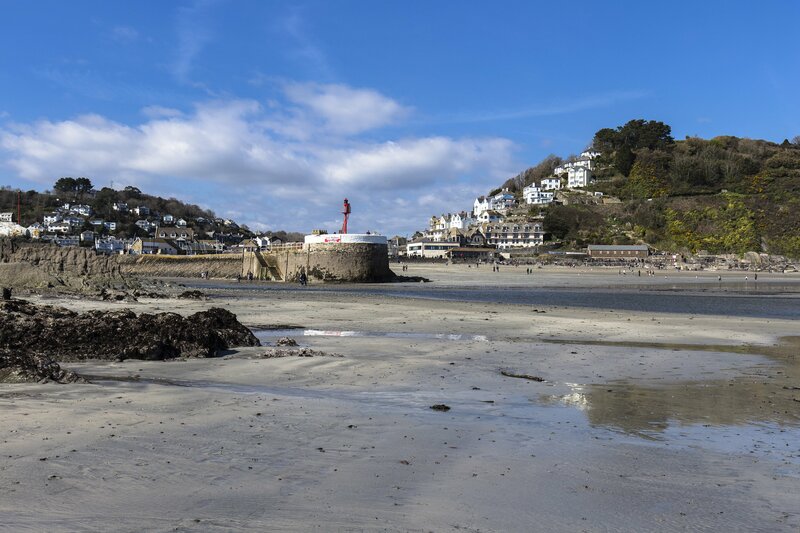 Looe is a lovely fishing village set in an area of outstanding beauty. There is something for everyone. Whether you will enjoy a stroll around the Town and enjoy the many back streets and quirky local shops or spend the day soaking up the sun on the beach. Come summer or winter there is always plenty to do. Did you know that Cornwall is known for its outstanding light quality? No need to bring your telescope, you will find one in the lounge of your holiday home! Technically the climate of Cornwall is classified as temperate Oceanic and the county is both the sunniest and the mildest in the UK. In an average year the county enjoys 1,540 hours of sunshine and during July the sun shines an average of 7.6 hours a day. There are two important geographical factors that contribute to this climate. They are the fact that Cornwall is the county with the most southerly latitude and it benefits from the effects of the Gulf Stream which brings in warm Caribbean air; in Cornwall palm trees are a common sight. The Gulls is a great location from which to explore Cornwall. The Eden Project is just 40 minutes round the corner, we’re on the South West Coastal path and our beaches are unspoilt and second to none. So, what are you waiting for? Welcome to your seaside home. Relax. Your holiday has begun. Look around. Sea, sea and more sea. Countryside, River. Contemporary interior. Feel free to unleash your inner Masterchef in your new state-of –the-art kitchen; or play the arm chair movie critic watching our large screen TV. Why not soak up the sun lounging on the terrace. Fancy an Autumn or Winter break? When dark falls over the Atlantic, sip a late nightcap watching the waves roaring in. Fall asleep to the moon glistening over Looe Bay. The Gulls sleeps up to eight very comfortably. Four stylish bedrooms each with their own bathroom. Among the bedrooms it is possible to make two of the beds into twins. Each bedroom is unique, each bathroom special. The cotton count is high. Every mattress is luxuriously thick covered with a deep mattress topper for your comfort. The bathroom towels are fluffy, only the best will do. So, after a long day of adventure, you’ll nod off to the laid-back combination of softly lapping waves and the moon washed sea. You’ll wake gently to cooing Gulls (whom you can choose to ignore). And, in between, you should be sleeping like a baby. A house that calls out to you to stretch out and relax. 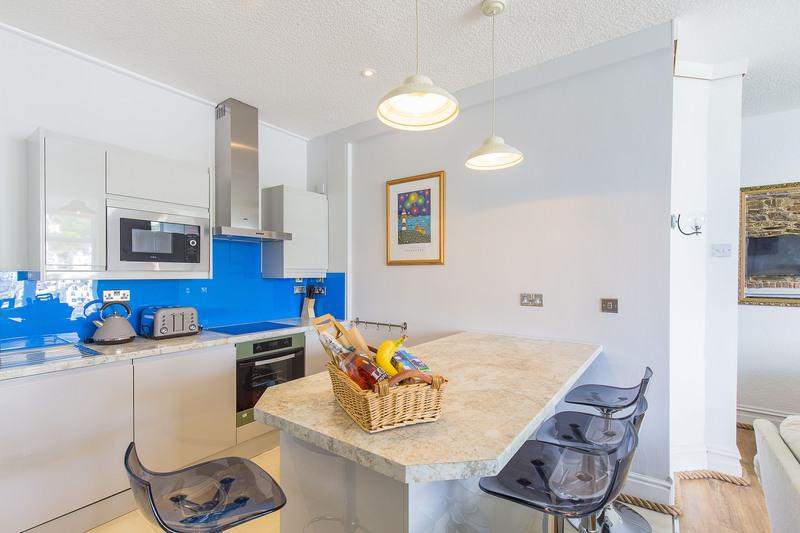 Four bedrooms accommodating up to eight people, sitting room and dining room all overlooking those magnificent sea views. 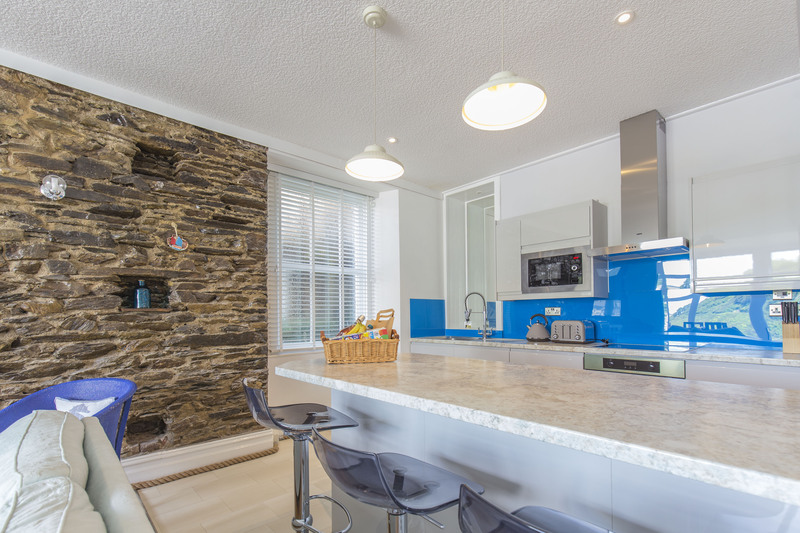 Rustle up a gourmet dinner in the custom-made kitchen designed for your every need in mind. An elegant dining room seating eight special guests overlooks the Atlantic what a way to celebrate that special birthday or anniversary. Totally don’t want to cook? Leave it to us; we’ll arrange for chef-prepared meals to be delivered to your door or, if you prefer, a chef can prepare a gourmet meal for that extra-special occasion – and you won’t even have to wash up. Fancy dining out? You have many choices of top class restaurants offering food at different gastro levels right on your door step. Give us a call to discuss and we’ll book it for you. 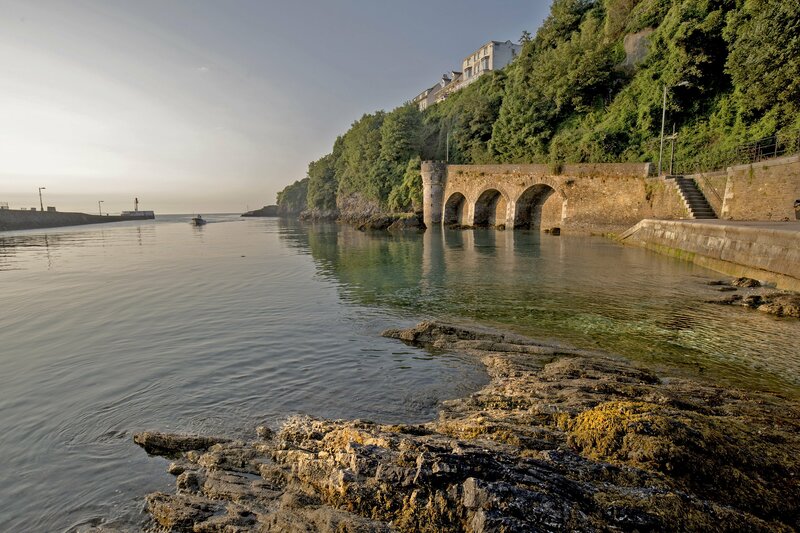 Or travel to the coastal city of historic Plymouth where there is a vast array of restaurants from around the world, or stroll around the Barbican for fine dining. Spend Christmas at The Gulls and make memories that will last a lifetime. Fairy lights adorn colourful boutique shops and colourfully twinkle all around the town in the festive spirit. Santa visits in early December and there is also a lantern procession with a Christmas market mid-December. Moonlight glistens over Looe River and the Ocean and the dining room is ready and waiting to host your family festivities with the tree ready and adorned, waiting for your arrival. 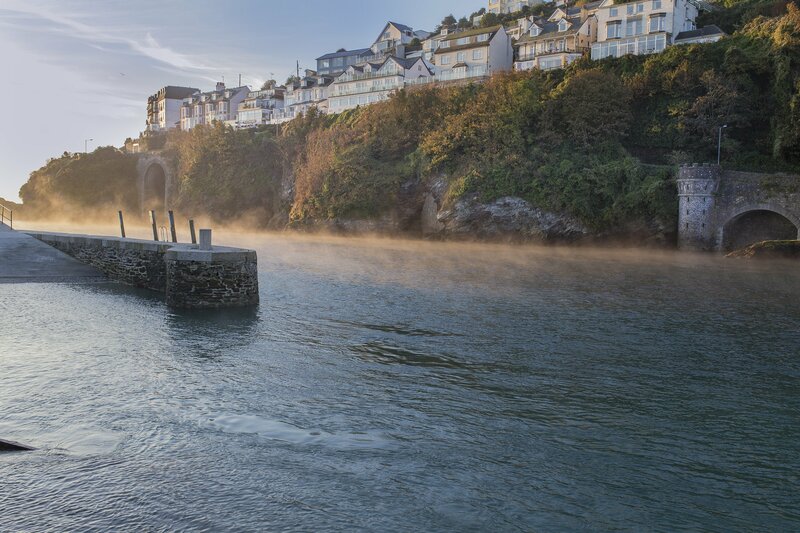 On Christmas morning, as the sun rises above Looe river, wrap up warm and build up an appetite with a leisurely stroll along the South West costal path, or along the seafront. After your festive feast, curl up in front of the fire and gather the family in front of the TV for a Christmas classic. The New Year celebrations in Looe are very special. Ranked as number 3 in the country by the Times, behind London and Edinburgh, New Year’s Eve is a Fancy Dress fest with lots of fun in the Town ending with the most spectacular fireworks display from Banjo Pier on the stoke of midnight. You have a grandstand view of the display from the terrace of The Gulls. There is also an earlier fireworks display for the younger members of the family usually around 6pm.